Learn how tunes can be played to inspire dancers, whether at a ceilidh or for morris dancing. Suitable for musicians, dancers or indeed anyone who wants to listen or try out dancing to the music. 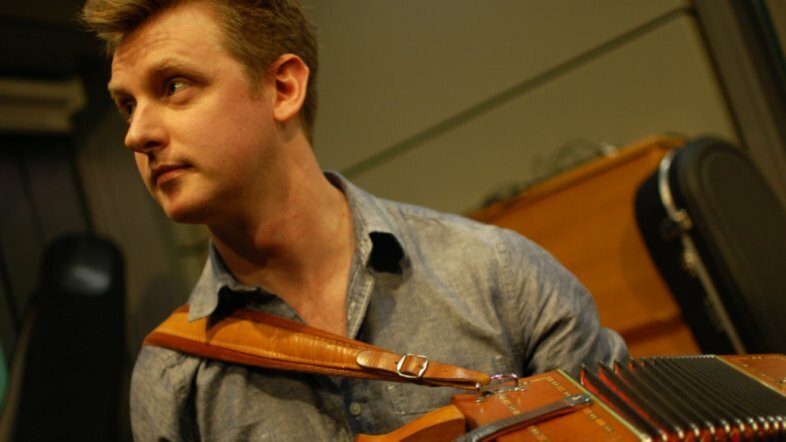 Nick has played for ceilidhs and morris for most of his life, as well as concert bands which have taken him to the Albert Hall, Trafalgar Square, and the Radio 2 Folk Awards. He really knows how to get feet tapping, so bring your instruments or dancing feet and find out how it's done. 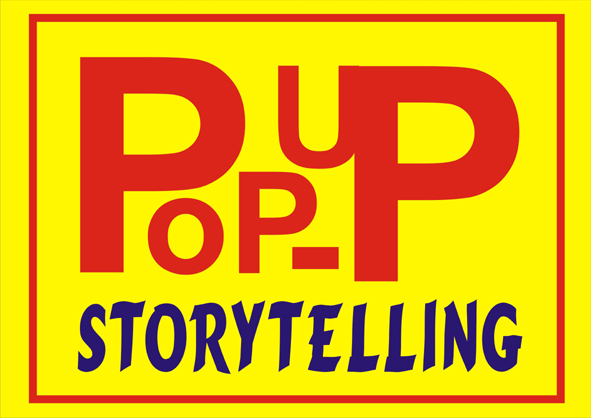 Sit back, relax and enjoy a story by award winning storyteller Graham Langley and storytellers from the Storytellers Studio. Stay for one story or stay for an hour, come back and visit as often as you like. We have a host of stories suitable for every age, mood or disposition. Bring a drink along if you wish for a different sort of relaxed listening. If you have a story to tell yourself then there will be plenty of floor spot opportunities - or just sit back and chill out. Louisa is the daughter of the late Len Davies, an amazing bones player who played from the age of 5 until he died, delighting folk festival audiences up and down the country. The bones are an ancient percussion instrument, similar to spoons. There are bones from Egypt in the British Museum dated 2000 BC. Louisa learnt to play from her father and is now keen to keep up this family tradition. This is a great workshop that anyone can try - whether you have prior experience of the bones or not! 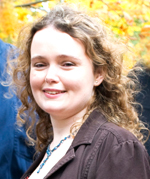 She will be teaching how to hold the bones, playing single beats and ornamentation, and playing to music. A limited number of sets of bones will be available for participants to use, but please bring your own if you have them. 3-4pm, Tennis Hut - Young folk musicians sessions with the Birmingham Youth Folk Band. Bring an instrument, learn some folk tunes from around the world and have a traditional session, at a workshop led by Max Gittings (The Destroyers) and tutors from the Birmingham Youth Folk Band. 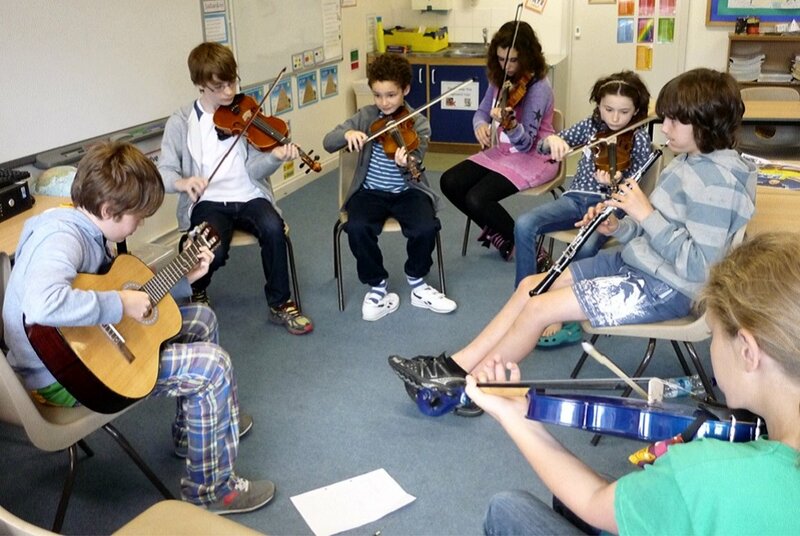 Following the excellent examples set by Lichfield's Wildfire Folk and The Birmingham Conservatoire Folk Ensembles, the Birmingham Youth Folk Band has been started by a like minded group of folk musicians, performers, educators and interested parents. It had its first outing in Moseley last year and this is an opportunity to find out what it's all about while having fun making music with other young people. It doesn't matter what instrument it is - if you can play it, bring it, and enjoy an hour of music-making at the Festival on both Saturday and Sunday. Learn folk songs from around the world in beautiful 3 or 4-part harmony. All songs taught by ear so no need to read music. All welcome! Come along and find your voice! The workshop will be led by experienced community choir leaders: Katy runs Moseley Voices while Lorna leads local group Find Your Voice. Together they run One Voice, a community singing group for adults with acquired brain injury. The rapper dance is a fast traditional English dance from the mining villages of the North-East and involves five people connected by short, two-handled, flexible swords (called rappers) forming a chain. Without breaking this chain the dancers weave in and out of one another twisting the swords to form locks and breastplates, sometimes jumping or even somersaulting over the swords. This workshop is definitely for beginners, take this is an opportunity to have a go. Ryknild have over 20 years experience in teaching rapper dancing to novices. 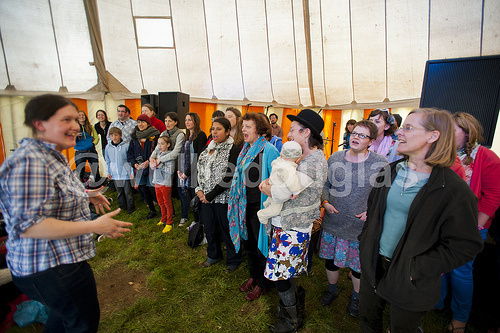 To whet your appetite Ryknild Rabble will display the rapper dance around the festival site beforehand. 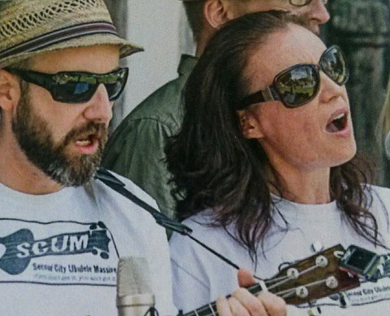 1-2pm, Centre Court Stage - Ukulele Workshop with the Second City Ukulele Massive! An experienced teacher, performer, producer, composer and arranger, Ben is simply one of the country’s best acoustic guitarists. Drawing favourable comparison with the likes of Martin Simpson, Pierre Bensusan and John Renbourn he is a phenomenal technician with a gentle approach to a wide range of styles and tunings. Now a quadruple BBC Radio 2 Folk Award Nominee (best album best duo) and winner of many other plaudits, for his work as an accompanist and arranger with singer Josienne Clarke, Ben brings an effortless fluidity across a range of styles from traditional to contemporary. 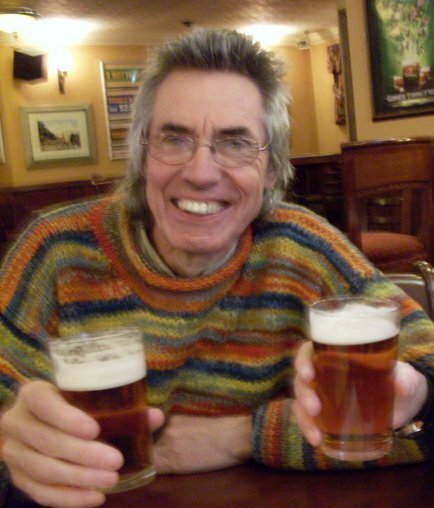 He has worked as a producer, composer and accompanist in a vast range of genres. 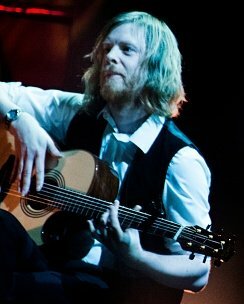 Whether playing folk songs, blues, complex fingerstyle pieces, or session work with transatlantic recording artists, Ben brings an arranger’s ear and superb musicality to the technical elements of guitar playing and will open your eyes to a whole new tonal palette with which to enrich your playing. 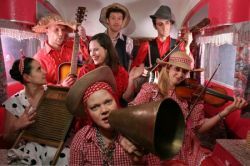 Preserving, promoting, reinterpreting, and propagating traditional folk music and dance, Cut a Shine is a troupe of very talented and passionate musicians, dancers and singers. They make folk dancing accessible and enjoyable for people who may never have experienced it before, and for many who have too. Encompassing all genres of UK, Irish and American dance, while individually being faithful to each form, they perform at all manner of dances, from local community halls to large festivals, and of course the old barn too. Suitable for anyone who wants to have a good time! 5:30-6:30 pm, Tennis Hut - Young folk musicians sessions led by Max Gittings (The Destroyers) and tutors from the Birmingham Youth Folk Band. A second opportunity to make music with other young people. It doesn't matter what instrument you play - bring it along, and enjoy an hour of music-making at the Festival on both Saturday and Sunday. Now's your chance to enjoy the dances you learnt earlier!